(December 6, 2018) - We have entered a slow period here at the CAD WALK project, at least when it comes to news. Obviously, we continue to work hard collecting data from patients, finalizing an Intellectual Property agreement to commercialize CAD WALK, and submitting scientific articles to journals. Unfortunately, I have already discussed the first of those tasks and the other two can't really be discussed until they are approved. So instead, I would like to take the opportunity to show you some of our first CAD WALK results on the Hallux Valgus patients in our project. Recall that Hallux Valgus patients have a deformed big toe (hallux) and corresponding metatarsal. On the left, you see a result that we commonly saw in our Hallux Valgus patients. The leftmost video shows the foot pressures that we measured from the patient and the middle video shows CAD WALK's best estimate of the foot pressures we would expect from the equivalent healthy person (in other words, a healthy person of the same age, height, weight, shoe size, and gender). It is important to note that the pressures in the CAD WALK estimate have some uncertainty to them, so as long as a pressure video is within that range of uncertainty, we will consider the estimate and the measurement to be more or less equal. The rightmost image shows where the measured pressures are outside the range of uncertainty in the estimate. Red-yellow regions are areas where the pressures are higher then we estimated, while blue regions show where pressures are lower than estimated. The first thing that jumps off the page is that there are higher than expected pressures on the outside edge of the foot. This pattern is seen in a few patients and it may indicate that they are transferring pressure to the outside of their foot in order to put less stress on their deformed big toe and corresponding metatarsal. What is also interesting is that this transfer of pressure is not entirely successful: there is still higher than expected pressures under the big toe and its corresponding metatarsal. Another example can be seen on the right. In this case, the patient is not really favouring one side or the other, but they do spend more time - and put more pressure on - their heel. This may be a signal that the patient is walking more on their heel to take pressure of their deformed big toe and corresponding metatarsal. Speaking of that metatarsal, it is experiencing higher than expected pressures as well in much the same way as the patient in the first example above. What is also interesting with these first two examples, is that these patients also reported high pain scores on the two foot function questionnaires we asked them to fill out (those questionnaires being the Foot Function Index, and the Manchester-Oxford Foot Questionnaire). These scores would seem to confirm that these patients are changing the way they walk to reduce the pain they feel. The weird thing? When asked how often they've changed their walking pattern to reduce pain in their foot, the first patient said "rarely" while the second said "all the time". Obviously, more study will be needed to sort out the whole story with these patients. Finally, I'd like to show you the results for one last patient. You can see that this patient does not show any unusually large pressures in the heel, and very few on the outer side of their foot. You might guess from these results that this patient experiences little pain and has not changed the way they walk as a result. In this case, you would be correct, or at least your guess would match what the patient mentioned on their foot function questionnaires. It is also interesting that this patient is also showing higher than expected pressures under their first metatarsal. This seems to be a fairly consistent finding, at least in these three patients. What is most interesting to us though is that each of these three patients, and in fact all of the patients we have measurements for, show different patterns of abnormal pressures. While the patients have some things in common (high pressure under the first metatarsal), we are able to identify more unusual behaviour by examining each patient's pressure measurement individually. This is one of the aspects unique to CAD WALK: a personalized analysis of foot pressures. We hope to finish our measurements for pre-surgery Hallux Valgus patients. We hope to begin measurements on our ACL rupture patients. We hope to have news on our IP agreement and articles under review. 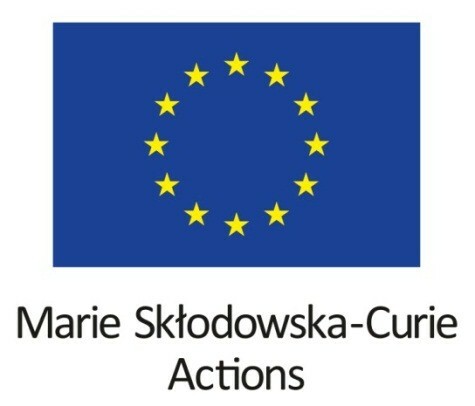 This project has received funding from the European Union's Horizon 2020 research and innovation programme under the Marie Sklodowska-Curie grant agreement No 746614.